Castle Point Books, 9781250202628, 192pp. Soul connection. Love. Heartbreak. 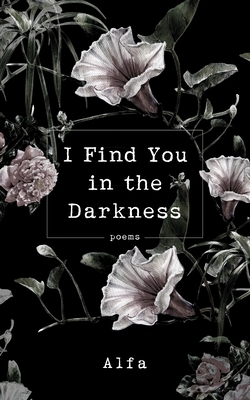 Alfa knows them all, and I Find You in the Darkness will lead you down her twisting paths of passion and pain with the poetry that has spoken to hundreds of thousands of people on Instagram and Facebook. Find your truest self revealed through Alfa’s carefully chosen words, and discover the love you’ve been waiting for. This volume belongs in the collection of every modern poetry fan. ALFA is a retired medical professional who has spent most of her career in Radiation Therapy. She credits her ability to express painful life experiences by studying the human body from the inside out. Unapologetic about her realistic take on heartache, she writes to let her readers know they are not alone in their pain. Follow her on Instagram.